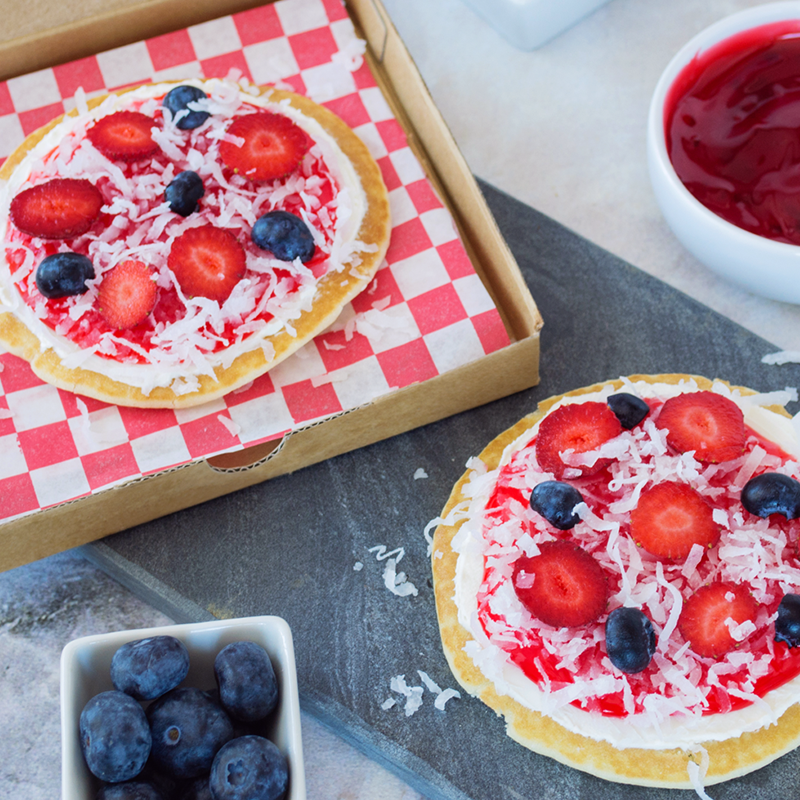 This delicious and nutritious, fruity pancake pizza makes a perfect afternoon snack or after dinner dessert! Once pancakes have cooled, cover pancake with a thin layer of vanilla icing. Then, spread a layer of jam over that to make your sauce. Next, add sliced blueberries for “olives,” and sliced strawberries to make your “pepperoni”. Sprinkle coconut flakes over the top for your “cheese”, and your pizza is ready to serve!